The Parkinson is designed so it can be delivered as a stand-alone kennel or as a kennel and run. This standalone kennel, which is part of all three kennel option, comes with an adjustable sliding hatch built into a full height access door for the dog-handler. It also has an opening window, the run area is built with one-third height wood panel and two-thirds timber framed mesh walls. 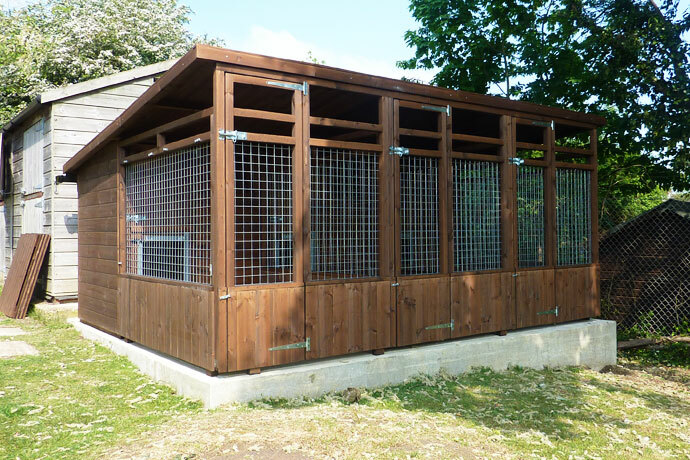 This enclosure can be upgraded to include galvanised bar in place of the mesh infills or even further with full galvanised bar walls. 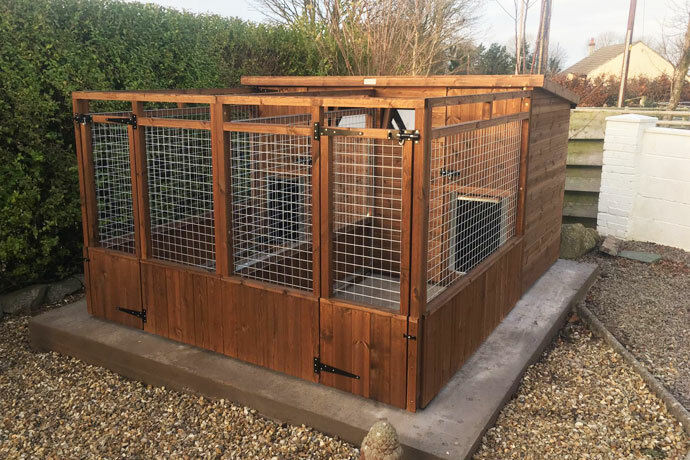 This kennel also has the option of being built with a covered run area with the pent roof of the kennel extending over the run. 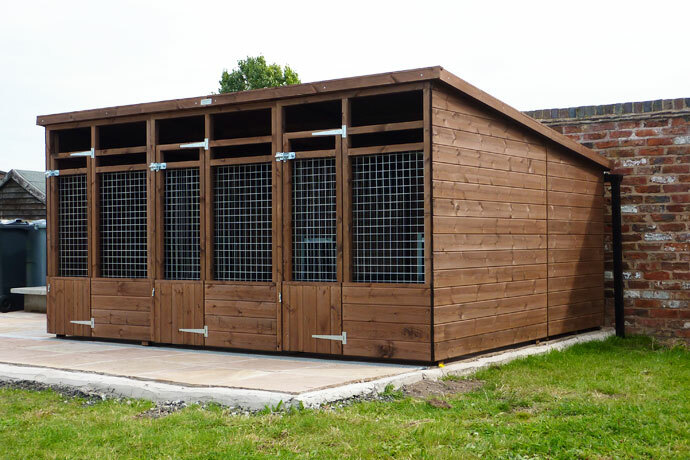 The Parkinson dog kennel and run is available in multiple kennel combinations, these combinations are practically unlimited with the kennels being assembled side by side.